The blanket is shown as a single color project, but it can easily be adapted for stripes or a multi-color rainbow look. It is all up to you! As other new patterns are released from Cascade, I’ll talk about them here. 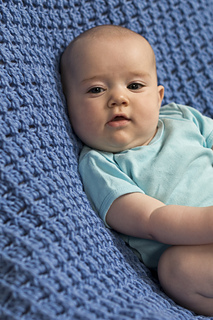 Thanks again to Cascade Yarns, for providing free pattern downloads to crocheters! What have you been busy stitching? Let me know in the comments below.